What part do grandparents play in the lives of their grandchildren? Can they contribute significantly to the lives of their grandchildren? If so, in what biblical way can they make a difference? Parents of course have the largest role and influence on their children but grandparents also have a huge role. One thing that grandparents should not be involved in is interfering or taking sides in their children’s marriage. How disconcerting it is to hear children’s parents put down by their grandparents. On the contrary, I try to always support and hold up in respect my grandchildren’s parents. The first marriage ceremony ever given and by God Himself said that a man should leave his mother and father and cleave to his wife. The word “cleave” is closer to meaning glued or bonded to their mates. The two become one flesh and so this leaves no room for parents or in-laws to enter into the marriage, even when they have children involved. I stopped giving advice to my children when they got married. I figure, if they need advice, they will ask for it. To give unsolicited advice is actually interfering in their own God-ordained marriage. This means that grandparents should not try to tell their children how they should raise their children but allow them to learn themselves. Of course, if there is a safety issue where the grandchildren might be harmed, then the higher principle is to speak to their children about their grandchildren in the interests of their safety and welfare. We can not insist that our children should use the same methods that we used in raising our children because they are the parents…we are not. Even though this is so very tempting, grandparents can drive their children farther away and cut off any possible influence they might have in their grandchildren’s lives. Psalm 103:17 But the steadfast love of the Lord is from everlasting to everlasting on those who fear him, and his righteousness to children’s children. Deuteronomy 4:9 Only take care, and keep your soul diligently, lest you forget the things that your eyes have seen, and lest they depart from your heart all the days of your life. Make them known to your children and your children’s children. Proverbs 13:22 A good man leaves an inheritance to his children’s children, but the sinner’s wealth is laid up for the righteous. Titus 2:2-4 Older men are to be sober-minded, dignified, self-controlled, sound in faith, in love, and in steadfastness. Older women likewise are to be reverent in behavior, not slanderers or slaves to much wine. They are to teach what is good, and so train the young women to love their husbands and children. Many of the grandparents listed in the Bible had huge impacts on their grandchildren. Jacob the grandfather of Ephraim and Manasseh blessed Joseph’s sons. Naomi was the grandmother of Obed, who begat Jesse who later begat King David. Lois was the very influential grandmother of the pastor and evangelist Timothy. The grandson of Hannah was Joel. Maybe you are a Christian grandparent. I am a grandfather and all of my grandchildren have a good working knowledge of the Lord. Every time I see them and speak to them, I include principles from the Bible so that they might learn that the Lord is good to those who obey Him and He also disciplines those Who are His because He loves them. I love telling them stories out of the Bible where they can learn lessons that they can later apply in life when they face their own Goliaths. When they come across difficult decisions, it is my hope and prayer that they will make the right decision, even if it is painful. Being a godly grandparent is more than just reading the Bible to them, although this is very important. It is being a godly role model so that when the day comes and you are gone, they can fondly remember the things that their grandparents did and hopefully, this will instill in them the desire to do good, just like Louis did for Timothy. Grandparents, I hope you will share your life’s experiences with your grandchildren so that they will reflect on what you did during difficult times or when you had to make decisions that may not have felt good but were the right thing to do. One of my favorite saying is “the right thing is not always popular and the popular thing is not always right.“ Next to their parents, you are quite possibly the greatest influence that they will ever have. They will see your faults and imperfections, but if you admit them to them, they can see that it’s okay not to be perfect and to admit it when they are wrong. I want my grandchildren to know that I was never perfect, but the Lord that I trust in is. That just as we can forgive others who hurt us or use us we can also be forgiven and so we should forgive others. Why? Because they may not know Jesus like we do. I want them to remember that I did the right thing, I watched the right movies or TV programs, I said the right things, and that I helped others when I could. Your grandchildren are watching you. What are they learning? More is caught than taught and your words will be drowned out by what you do. You might say one thing but then do another. That teaches them that being a hypocrite is okay. When they see you do the right thing and that it matches what you say, then that is one powerful lesson that will be passed on and on and on. Children are a gift of God but so are grandchildren. Thank God for them. Pray for them that they might come to saving faith someday. Tell them if “pa pa” or “gam ah” ever die, they are not really dead but they are waiting for them in heaven. Give them hope of an eternal future. Tell them about Jesus’ saving faith and that God wants them to come to heaven someday. That way, when you are no longer with them, they have the hope that they will see you again in the Kingdom of Heaven. Then, there will be no more time-outs, there will be no more “take your medicine”, there will be no more scrapped knees, and they can spend as much time with grandpa and grandma as they want, because there will also be, no more bedtime! How great is that!? As an almost grandparent, I am thankful for the wonderful tips and Biblical insight from your article. Thank you, Jack! Thank you so very much HK. It is one of my sheerest joys and delights and the Bible is right, “Grandchildren are the crown of the aged” (Prov 17:6). l pray that someday, thats the kind of grandparent l will be to my grandkids…l never had the pleasure of knowing mine and my parents are miles away from my kids so they are also deprived. l have vowed not to live too far from mine,ever! God help me! Please take the advice here seriously. My mom practically destroyed my self esteem and made comments like “good moms stay at home”. And ” people shouldn’t hAve kids if they aren’t willing to stay home with them. I did what she bullied me into destroying our finances (I couldn’t really afford to be at home but did it anyway). We never did really recover because I spent years second guessing myself and never achieving all I could. I have vowed if I am ever a grandparent to give advice if asked but otherwise keep my mouth closed. What does the bible day about the role of grandchildren to their grandparents? Are they required/obligated to take care of then? Given that their(grandparents) children (esp the eldest son) are financially rich and physically strong to take care of them, is it required for grandchildren to still provide for their grandparents financially, taking care of them like going to the doctor, and give them basic needs? Thank you! Aside from honoring your parents the natural extension should be to honor your parents by honoring there parents (Ex 20; Eph 6:2) because that promises long life. I think it is a godly thing to provide for grandparents for we see this throughout the Scriptures, particularly in the Old Testament. Leviticus 19:32 says “You shall stand up before the gray head and honor the face of an old man, and you shall fear your God: I am the Lord.” 1 Pet 5:5 says “Leviticus 19:32 ESV / 51 helpful votes “Likewise, you who are younger, be subject to the elders. Clothe yourselves, all of you, with humility toward one another, for “God opposes the proud but gives grace to the humble.” Being subject to the elders means doing what they ask. 1 Timothy 5:8 nails it by saying “But if anyone does not provide for his relatives, and especially for members of his household, he has denied the faith and is worse than an unbeliever.” James 1:27 says “Pure religion and undefiled before God and the Father is this, To visit the fatherless and widows in their affliction” and this means all the fatherless and widows, not just those you’re related to. Saying that, if the richer grandparents are not saved, they will likely not take this seriously…if they are saved, then read these to them and ask them what they think then leave it up to God to convict them of their negligence of their grandparents, which is clearly a sin! Thank you Annie. All you have to do to subscribe to the newsletter is to go halfway down the webpage and click on the 15 Questions about Heaven and Hell and enter your email address, which remains private, and you’ll be subscribed but you have to do it, we cannot. Any testimonials of grandparents who have evangelized grandkids whose parents are unbelievers? I shared my faith, read Bible with and led my then four year old grandaughter to the Lord. She really understands the fundamentals of gospel. She loves the Bible. Her parents are angry because she regards me, her grandmother, as the person she trusts when it comes to matters concerning God and Jesus. I’ve taught and reinforced her to obey her parents and they aren’t otherwise, unhappy with me, but this is a big deal to them. I’m a completed Jew and have a strong evangelical calling. They have insisted that there be no more bible, talk of God and Jesus when she is with me. Of note, since accepting Jesus, she has overcome night terrors and fear of dark when at my house. Kindly advise on how to proceed if you have any experience with this. I cannot denounce Jesus, and may be faced with them severing my relationship with their kids. Thank you Teri for your comment. You said you are a “completed Jew.” What does this mean? You are a Messianic Jew who has trusted in Jesus? Have you repented and put your faith in Jesus? I am overjoyed you led your granddaughter to Jesus. I am sorry they are threatening to severe your relationship with her. How tragic. Just keep praying that her parents might be saved. That is up to God. You cannot save anyone nor can I for God alone saves so let’s join together in this in praying for your granddaughter’s parents. I thank God you care enough to share the gospel. i forgot to tell you in my first comment each time my daughter gets upset with me or if her husband gets upset with me they take the grandchildren away from me seeing them i say you shouldn’t use the children for ( my punishment) . i could write a letter but i won’t. 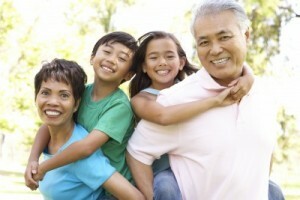 Are there any scriptures that explain how important grandparents are to their grandchildren? By law grandparents don’t have any rights so I’m wondering if there’s something in the bible can help convince my daughter in law that cutting us off from our grandson is wrong! I thought we were close til my son was killed in a car accident! After the funeral things were tough but seemed to smooth out and she was ok with him spending time with him then after 9 months things changed and she cut him off from us telling us she knew grandparent rights! Anyhow if there is something that can help me reach her I would appreciate it! Hello Robyn. I am so sorry that your daughter in law is cutting you off from your grandson. Yes, this is so wrong. The Scriptures that are in this article are all that there are to show that this should not be done. Is your daughter in law saved? It doesn’t sound like it. Pray for her soul for no child of God typically does such things out of anger or spite. Some states allow grandparents this right. I don’t know which state you live in but other than that, just pray for this woman’s soul. She is hurting apparently and is taking it out on you. I wish I could be of more help. I appreciate the article and sympathize with those who can’t see their grand children. I am going through the same and mine live in fear. Courts not doing anything. A matter of touching was involved and I was deemed not in my right mind because I mentioned God in court. No visitation. My granddaughter is with the perp and calls for me daily. My grandson her brother is in fear cis my daughter and the dad family curses and threatens him. It’s sad and I am in pain over this. No child shoukd live like this. We sneak and talk when my grandson knows no one is home. This is the work of the enemy, but there has got to be something. I pray, it hurts, I forgave all involved. They still try to turn them against me and make her forget me. This is evil. SMH. I too have searched for scriptures on grandparents protecting children from parents when their lifestyle is detrimental to the child. We have custody but their is always the threat of the parents taking them back. What to do? Thank you and God Bless. Prayers to our Lord Jesus Christ are always welcome! I can’t imagine what this must feel like. Prayers..
My in-laws and my husband & I are all Christians. My husband and I have been together for over 20 years, are very happily married & have 5 children (1 Otw). Unfortunately, my mother-in-law and I have relational issues. She speaks poorly of me to my husband & our 4 children. She undermines our rules and tells the children things contrary to what we say. She comes to our home, takes over everything, & then claims I’m controlling. She makes a plan and then changes her mind atvthe last minute probably 80% of the time, expecting my husband and I to accommodate her immediately. We have denominational differences in beliefs which she makes fun of & speaks with the children about, despite my husband asking her to stop. She claims we are brainwashing our children. Our children feel confused and hurt when she does this, as she makes them feel bad if they stand up for what we believe the Word of God says. She constantly criticises both my husband and me, offers unsolicited advice, & tells us how we are messing up our children (no one else in our families have any concerns and actually commend us for our great parenting & well behaved children). Anytime we don’t do things her way, there is a verbal lashing that ensues. She questions our motives and falsely accuses us of those motives. We have tried many times to establish healthy boundaries with her, but we eventually allow her to manipulate us into giving her her way until she goes too far again. She speaks curses over our children and some of her other grandchildren as well. She yells and cusses at whomever disagrees with her, including my father-in-law, in front of us and our children. Anytime we bring up the behaviors, she starts yelling and crying and claiming we’re hurting her & trying to control her. In all fairness, she has another side that is very generous, fun-loving, helpful, creative and she can show wisdom. We love her good side, but have a hard time with the bad overshadowing the blessings. What does God’s word have to say about how to honor our parents and still stay in God’s order of having healthy family roles in relationships? Any advice? Thank you in advance. From what you have told me, this woman is not saved at all. Pray for her immediately, because it appears the enemy is using her to do his dirty work, and that is to destroy the family. I would make some drastic changes imeediately, with your husband’s consent of course. Stop answer your mother in law’s phone calls, or answering the door for a day or two, and see what happens. I would also suggest you and your husband seek the pastor’s counsel for your next step. You have to honor parents, even when they don’t act honorable. Pray for them. Cut off all communication for a day or so and when you do finally talk to the, tell them exactly what you told me. This “two side’ woman may have some mental health issues too. Please try and cut her off for 2 days, stand firm, and then tell her why. If she doesn’t understand, give it two more days. This is best for you and for your children. Your own family comes before anyone else. I will pray. Protect your family with some time away….maybe she will see what she is doing. Stand your ground. My only grandchild is enrolled in a private Christian school. She is in kindergarten. As her grandfather, I feel blessed that my family is so close and on the same page with loving and raising our sweet grandchild within our respective roles that our Lord has provided. …but God, Who cannot lie (Numbers 23:19 & Titus 1:2) expressly said “if you eat of that particular tree, you will surely die, and they did…and we do!” Genesis 2:17 so your doctrine of waiting in heaven is a blatant lie! What would the purpose be for Jesus second coming if all the people He promised to fetch to be with Him, were already in heaven? Have you not read the Scriptures? It is written, the Lord Himself will descend from heaven with a shout, with the voice of the Ark Angel and the trumpet sound of God…then the dead in Christ who have been raised to life, will rise first and then those who are still alive (not having died yet) will rise to join them in the air and together will go with Him to heaven 1 Thessalonians 4:16-17 – His feet will not touch the ground at His second coming. God is very specific about what happens to us when we die. He made us from dust, breathed the breath of life into us and the man became a living soul/a living being… and when you die, to dust you will return and the breath of God will return to Him Who gave it!” Genesis 2:7 and Ecclesiastes 3:20. “Therefore we are always confident, although we know that while we are at home in the body, we are away from the Lord.” Jesus said many times, He is the God of the living…the God of Abraham, Isaac, and Jacob. Moses and Elijah were with Christ on the Mount of Transfiguration. Dust can’t do that…we live on after death. Hi, thank you for your insight. I have a problem though that I would appreciate your insight on. Our friends are missionaries and have been in South Asia for the last 8 years. They left behind 3 adult children and took 2 teenagers with them. All are grown now with one living with us. The others are married and have children of there own. They want their parents to come home and have a relationship with them and the grandchildren. At first it was noble of them, serving Christ, but now after 8 years, there is much anger as the kids feel their children are left out as the grandparents play with missions kids and families on the otherside of the world. The mission parents are very busy there so Skype time is limited to biweekly or monthly. Their adult child that lives with us is frustrated that the6 have been gone so long. I have prayed for this fam8ly and guidance as I too am a grandma and have a great relationship with my kids and especially my grandkids. I feel it is so important to be a role model for m6 daughter and granddaughters. I’m not sure how to help this family, your insight would be appreciated. Hello Sandy. I do see this as a problem, but the problem is not with the missionary grandparents/parents but with the children of the missionaries. The children of the missionaries are angry that their parents are dedicating their life to the Lord and to saving souls. The parents (missionaries) are not doing this out of selfishness and their (and our) purpose is to go into all the world, as you know, so saving souls is what God has called them too, so should they focus on being grandparents or going into all the world. I think you and I both know the answer to that. Jesus once said whoever does not hate his own mother, father, brother or sister cannot be His disciple, so it is unfair to the missionary parents to be placed in a situation where they must choose….saving souls or be a grandparent and spend time with them. I myself am a grandfather but I have a large prison ministry and sometimes this takes me from my family, (including my grandchildren, who I miss terribly bad) but we must put God above all. Love the Lord your God first and doing what He commands is what Jesus said is love. If you love Me, He said, you will obey My words. I sense the missionary parents are the ones who are more angry and not the grandchildren. Tell them what I told you and see what they say. Their angry is against what God has called this couple (the parents) to do. What are they supposed to do. Tell God “No, God, my grandchildren are more important?” See my point. I am praying for this. Do the missionary’s parents witness? Do they share the gospel? While doing some research on scriptural guidance for raising grandchildren, I met you. I loved your story, which was chocked full of practical advice on how we as grandparents can truly bless our grandchildren by showing them how to lean on God as they experience the ups and downs on life’s journey. I especially liked your advice on preparing them for a reunion beyond this world. My husband and I are retired and raising the oldest and youngest of four grandchildren. They are a 13 year old boy (raised by us since birth) and his 8 year old sister ( with us since 4). God’s favor and grace has sustained us through life’s challenges. It is a joyful life! As a family, we seek daily to know and to allow God to fulfill His purpose in each of our lives. Thank you for being my Blessing today!! Previous post: Should Christians Vote? Should They Donate Money To Politicians?